Keller Keukens, Dekker Zevenhuizen and ATAG Benelux presented themselves together for the first time during the 2018 Kitchen Mile. 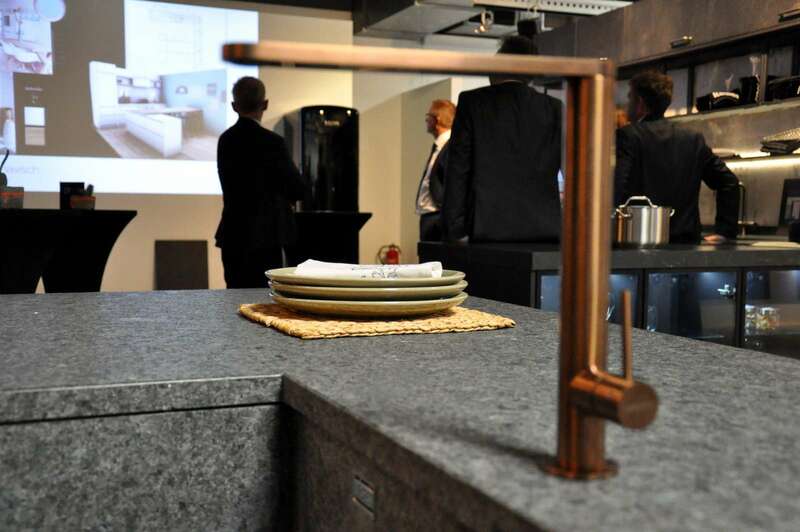 The venue of the exhibition was the servicepoint A30, where the trio presented their latest kitchen and appliance trends. Around 540 visitors took a look at these for three days. 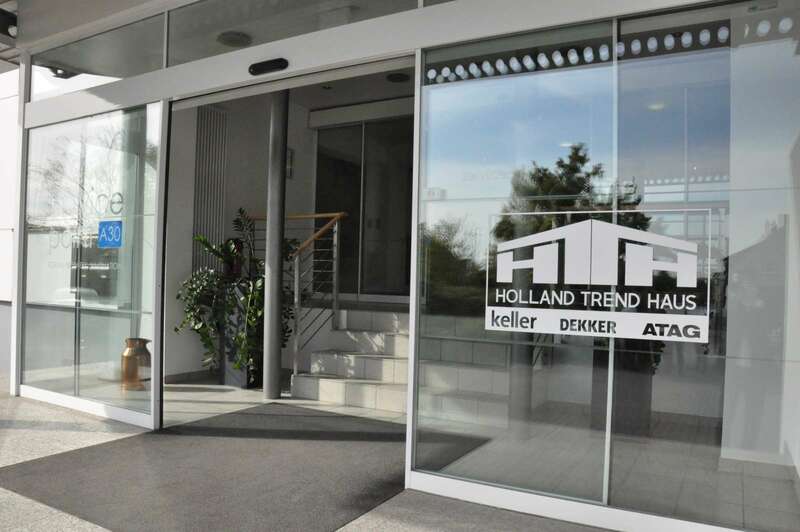 The brand cooperation Holland Trend Haus visited the servicepoint A30 for three days in September. Strong together. For Keller Keukens, Dekker Zevenhuizen and ATAG Benelux, this almost simple motto was absolutely absorbed during the 2018 Kitchen Mile. 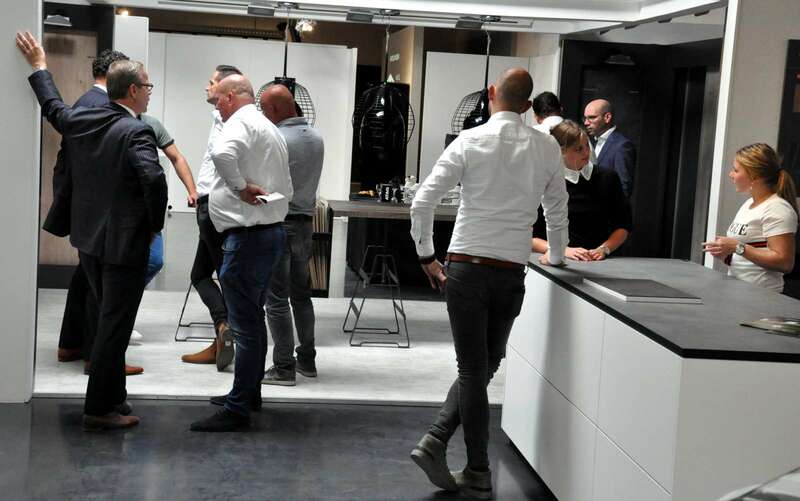 On three days, from 16 to 18 September, the Dutch kitchen specialists shared the servicepoint A30 as an exhibition space. 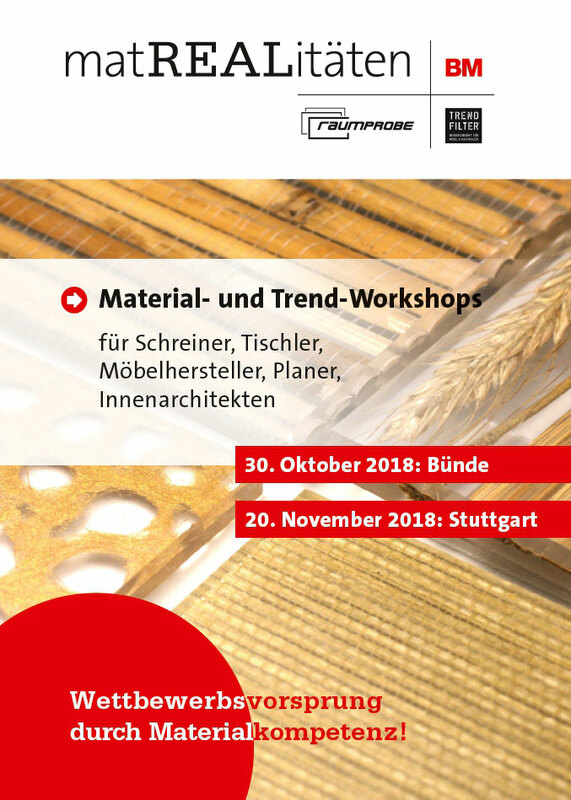 The trio presented its latest trends and innovations in kitchens, worktops and appliances. 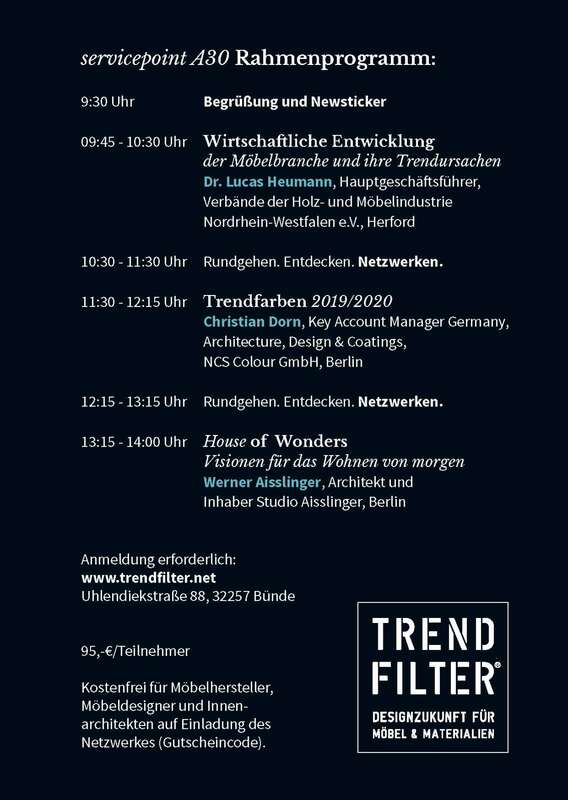 Under the new name Holland Trend Haus, they also wanted to clearly emphasize that something has changed since their last appearance on the 2013 Küchenmeile. Impression of the fair at servicepoint A30. This has definitely been achieved with the joint brand appearance. 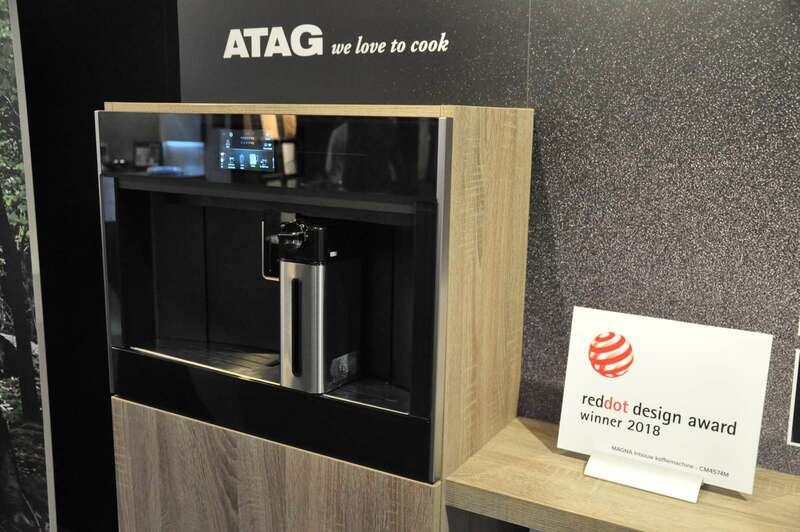 “As the initiator Keller Küchen, together with Dekker Zevenhuizen and Atag Benelux, look back on the event with great satisfaction and interest,” commented marketing manager Loes Broos on the co-operative appearance. Last but not least, the event format also represents a premiere for the servicepoint A30: with temporary lettings of its own studio space, founder Katrin de Louw wants to gradually develop the servicepoint A30 under the umbrella brand TRENDFILTER into a lively event platform in order to provide the industry with such an opportunity to offer contemporary added value. 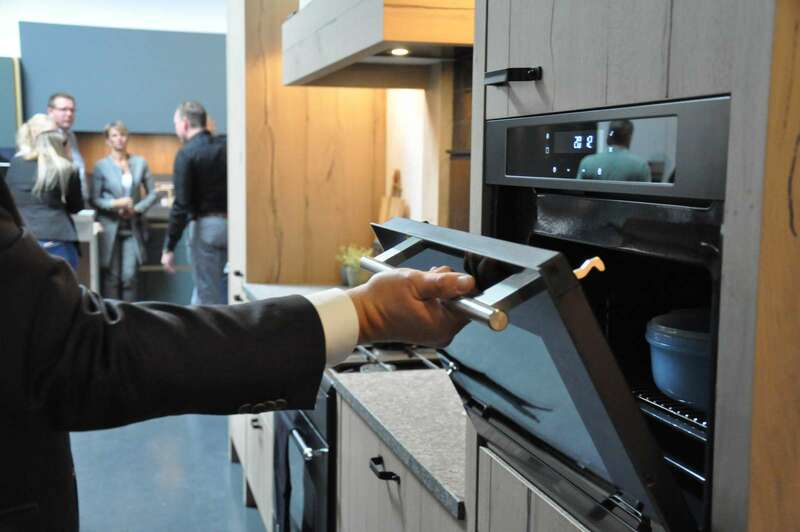 “Although our online networking through our network partners is also strong and important to us, the servicepoint A30 stands especially for the offline meeting with the customer, here in the center of the furniture industry directly at the kitchen mile,” emphasizes Katrin de Louw.